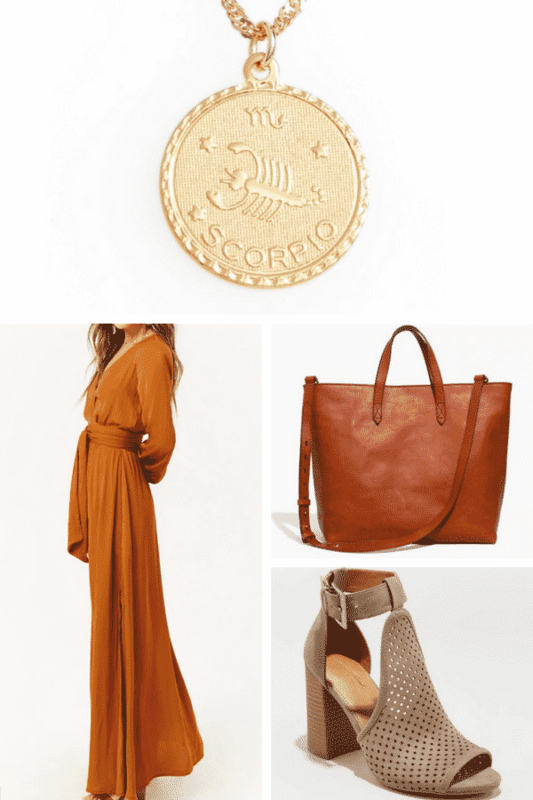 I’m shopping for Fall and looking for some key pieces that I can use over and over again. The colors have to be seasonal, of course. Rich and deep tones – think rusts, natural hues and anything from the Earth. I am very NEUTRAL as it is… so this is my element. LITERALLY. Fall is my favorite time of the year. I know a lot of women like the summer, but truth be told, I’m not a bright and bold kind of girl. Give me those warm hues any day of the week. I want to melt into my wardrobe like a hot cup of cocoa and cozy up into a plush sweater. And layers!! OH THE LAYERS! Girl, don’t get me started. 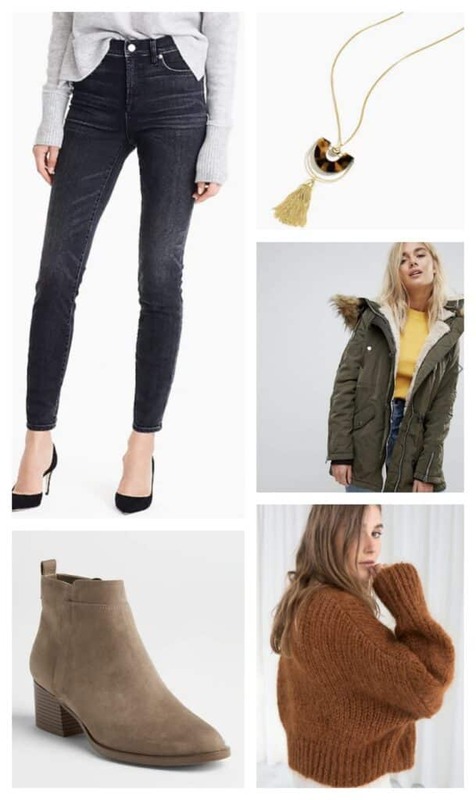 If you are ready to do some shopping, here are a few great looks I’ve put together for you to consider. Each section contains affiliate links. Please note: The necklace I feature above shows the Scorpio Zodiac symbol, but it comes in every style. Please note: That coat is a STEAL!! It’s under $70 and is AMAZING OMG!